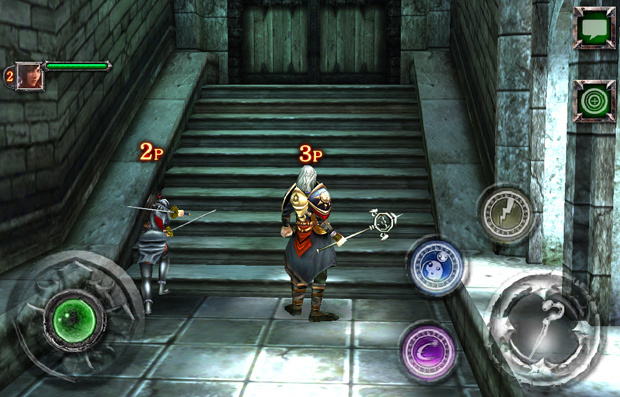 Kingdom Conquest II is the direct sequel to Sega’s hit mobile game of the same title. KCII takes place almost a century after the first KC game and you have been chosen to bear the mantle of the conqueror once again. 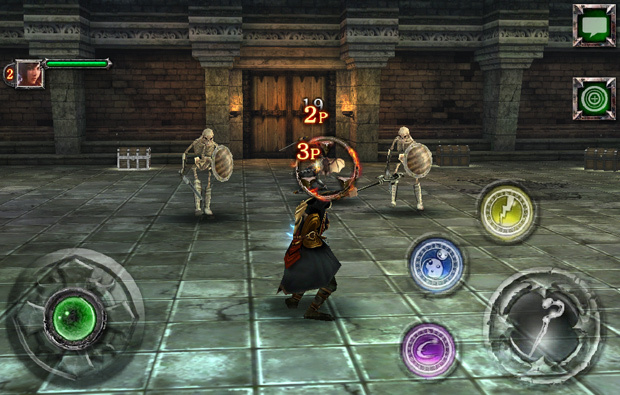 The game meshes in three types of gameplay much similar to its predecessor. Changes include a new set of avatars, new monsters to acquire (and use) and a new monsters to acquire and new skills to use. Your Avatar in Kingdom Conquest II can be considered like your avatar in every MMORPG out there. 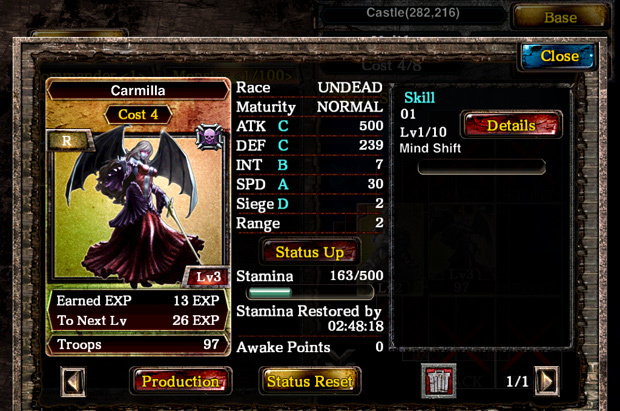 It has its own stats, equipment and skills that you can acquire and customize depending on your playstyle. For KCII You have the Saint, Mage. Swordsman, Warrior and Ninja job classes to choose from. They are gender locked and lack any customization features present in other MMOs. 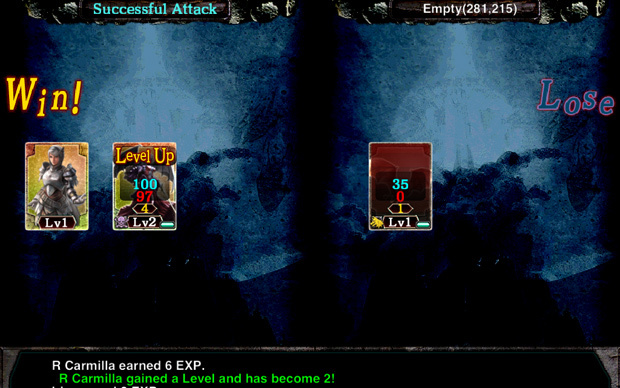 Attack pattern and character growth is highly dependent on the chosen character class and each class has its own unique set of armors and skills. KCII has three phases of play including the action, city and map phases. 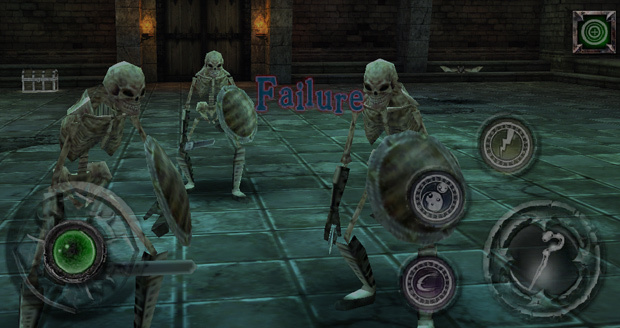 The action phase uses the third person perspective and gives you a chance to battle through various dungeons to unlock monster cards for your army. This phase allows you to team up with up to 3 more people in instanced challenges with an easy, normal, and hard difficult available. If you’re looking to acquire the best rewards though, you’ll need to take on the toughest challenges. Aside from unit gathering, this phase of the game also opens up options in strengthening your current avatar in-game so that you can get into higher, stronger dungeons for more loot and monster mobs. 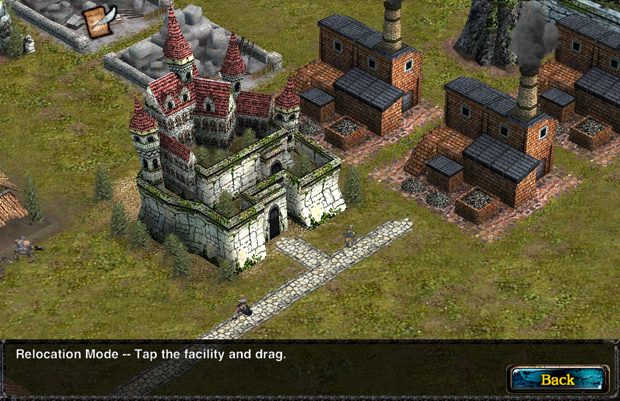 The Game’s second phase is the city phase where mostly you’d concentrate on enhancing your city’s resource gathering to further your army’s capability against mobs and human players alike. The city phase feels more akin to a simulation empire builder. As I mentioned earlier, this basically is the resource management segment of KCII. 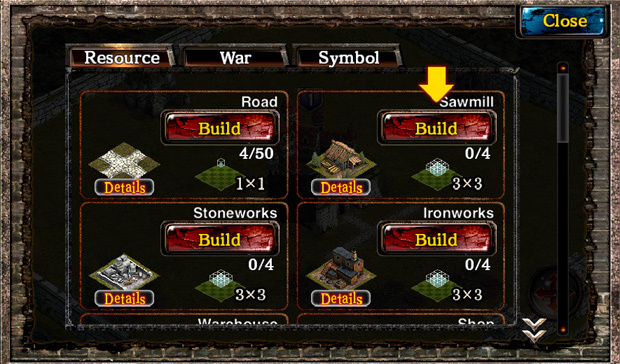 In this phase you get to create structures that give you resources (wood, iron and stone) to further increase the resource output of your city. 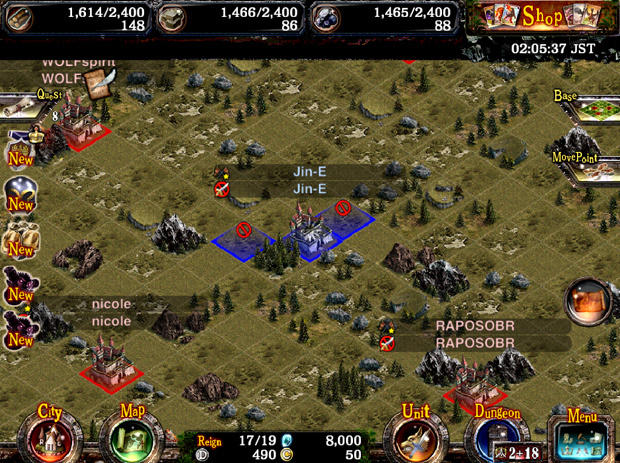 This phase also allows you to setup your various commanders in preparation for the map phase of the game. Hopefully in an attempt to expand your city’s influence beyond its standard borders. Players will find the majority of their time spent in this phase because the bulk of your empire management (aside from the resource and military aspects) are also done in this phase. The final phase focuses on conquest and land acquisition. Using your “commanders”, you send out sorties to either conquer land for your kingdom, or reinforce owned property so that your enemies won’t be able to take it away from you. KCII’s map phase is basically the “world map” section of other similar online games. 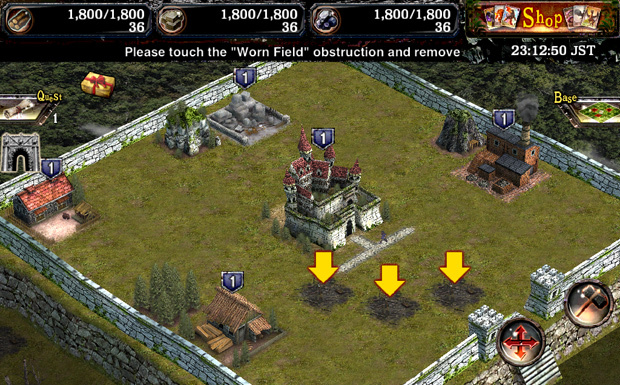 In this phase you’d get to see the areas around your kingdom so you can plan for potential invasions or enemy targets. Expect to make some rivals while meddling in this phase. Territory battles are common place and once you become a competitive player, you’ll find yourself spending most of your time here rather than in the city phase. 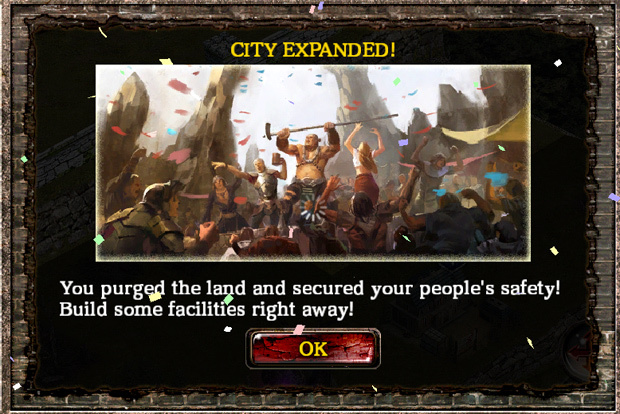 I’d like to say that Kingdom Conquest II is one of the best smartphone games I’ve played as of late. 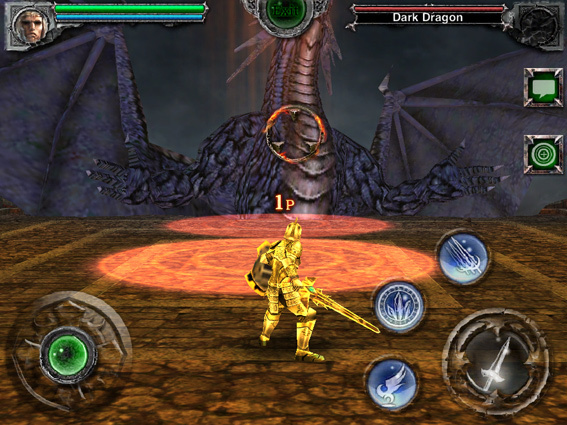 While the graphics aren’t on par with similar combat system titles like, shall we say, Infinity Blade, the various game elements mesh so well together that it more than makes up for it. The overall package is pretty overwhelming for mobile. SEGA really aimed for the stars and succeeded on KCII. The variety of the things you can do in KCII gives you enough variety to keep you preoccupied for a long while. The game sets you up to consistently pursue one goal after another. Thankfully this is just to get your feet wet as there are plenty of times when you’re left to fend for yourself and choose your own path, as a competitive title should. While I can keep on singing high praises on the game’s seamless flow, the game’s weakness however is obvious once you analyze each game feature on its own. Dungeon running on one hand relies heavily on a player’s equipment rather than skill. 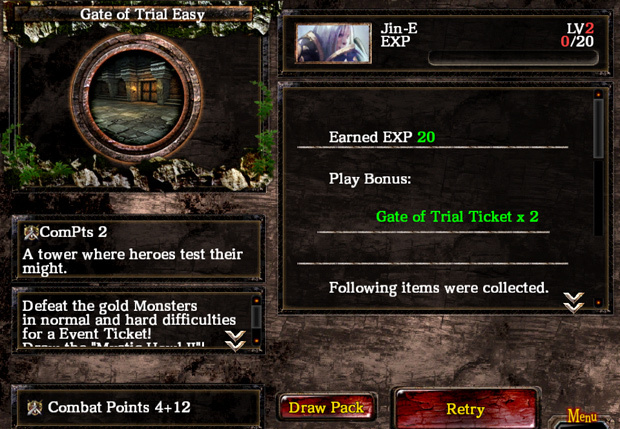 This then makes dungeon running quite boring in the latter stages of the game. The game’s AI is dumb at best, and the only change they’d have on harder difficulties would be either that the mobs are more numerous and that they hit harder (when they actually do hit you). The City Building phase of the game on the other hand isn’t something to write home to. In fact it’s pretty staple except for the fact that for an OC like me, seeing a lot of unused spaces within my city walls irks the hell out of me. As for the Map phase my only complain is that I wished there was something more visual present in how battles happen instead of the battle reports the game sends. 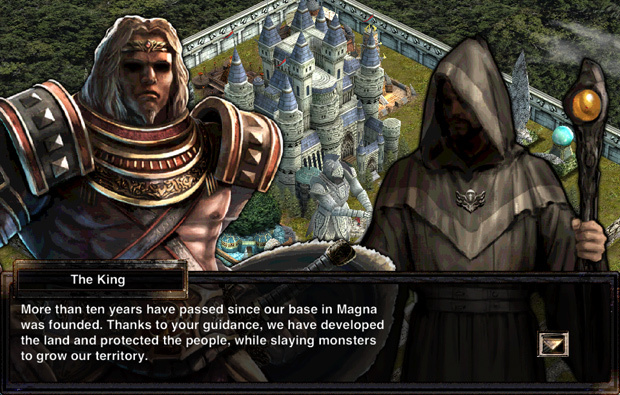 With my complaints set aside, I’d highly recommend Kingdom Conquest II to anyone looking for an iOS/Android game to sink their teeth into. The game’s campiness mixed with the occasional overly serious tones can be easily ignored because of the stellar gameplay it has as a whole. Those complaints I mentioned were in fact just nitpicks; mere minor inconveniences that I experienced along the way through a superior package as a whole. If you can overlook the individual weaknesses of each mode and see yourself as someone who enjoys the gameplay style of all three stages, then Kingdom Conquest II won’t disappoint.